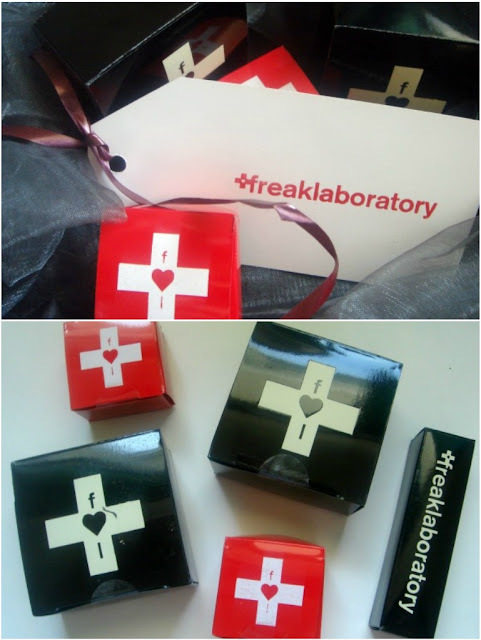 Sophsterlicious • UK Blog: My Thoughts: Freak Laboratory Cosmetics. I was recently contacted by Freak Laboratory Cosmetics, who asked if I would like to try out a few of their products. Being someone who is makeup obsessed, I accepted. I love the whole look of their website, the branding, and the name mostly, I love that they're called Freak Laboratory! My package arrived after a few days, and I was excited to see what they had sent me. I was lucky enough to receive two of their eyeshadows, a foundation, a highlighter, and a lipstick. I couldn't wait to play. The packaging is also sooo cool! As you can see above, everything looked lovely before I unwrapped it - I love when things come nicely presented, it always makes me feel a little bit special. We'd always been users of MAC, Lancome, Clarins etc when it came to foundations, but the continuing irritations they caused our skin (sometimes within the same day!) were frustrating. This is where our mission really began. 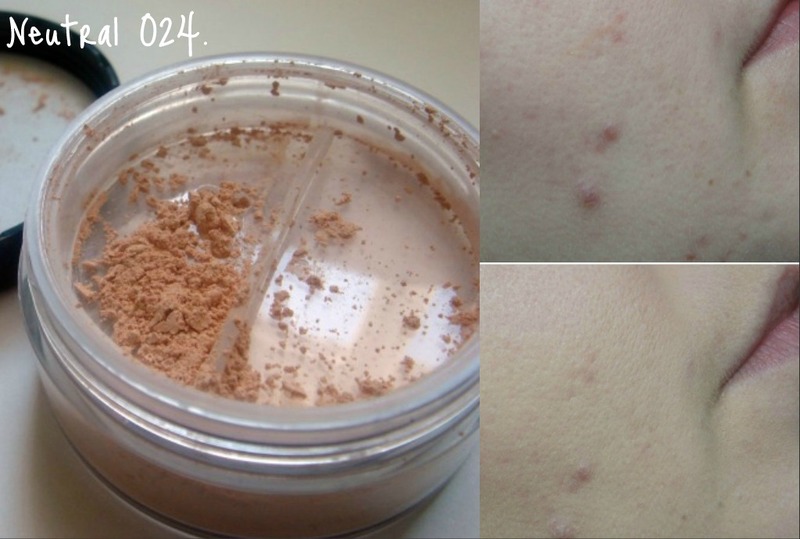 We knew mineral foundation was the next thing for us to try. So, we set about creating a mineral foundation that provides a base as beautiful as any liquid or cream foundation, but without skin irritants. It's taken a lot of time, work and passion, but we've done it. We now have a small but dedicated customer base in our local area and we're so delighted to hear from our customers that their skin is improving, friends and family are commenting on it, they'll never use another foundation etc. We also wanted to work with colour cosmetics, so alongside the foundations we've created loose, highly pigmented eyeshadows, brow wax, long lasting + colour rich lipsticks, mineral blushers, contouring + bronzing powders, a fixer, and very soon a gel eyeliner that will be available in colours not seen in other brand's gel liners so far. We're really excited about this one! Our chief aim is to provide high quality + fashion reactive makeup, bringing unique colours and finishes across an array of cosmetic products. 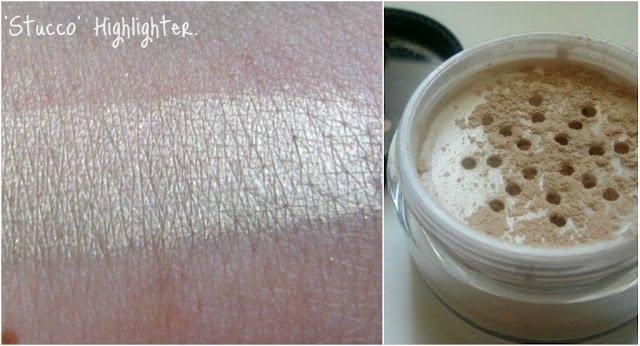 Read on to see the swatches and products. So, let's have a look at what I was sent, and see some swatches, yeah? First up, the foundation. They asked me my normal colour in foundation, and managed to send me a perfect match, which is impressive, as my skin is quite fair. The mineral foundation has a lovely velvety feel that didn't make my skin feel dry at all, which I find that mineral foundation normally does for me. I just buffed this on (over a primer) with a kabuki brush. It covers really well, and evens out my skin tone - I always find it hard to believe that just a powder will do that, but it does. I really enjoyed using this, and love how it made my skin look, without the heaviness of a liquid foundation. Next, the loose mineral eyeshadows. I really love loose eyeshadows in general, but I don't use the ones I own often enough, just because of the mess they can sometimes make, but these have actually caused me to start using them again, and made me realise how much I enjoy them, I was sent two lovely shades which are perfect for autumn, I love them. 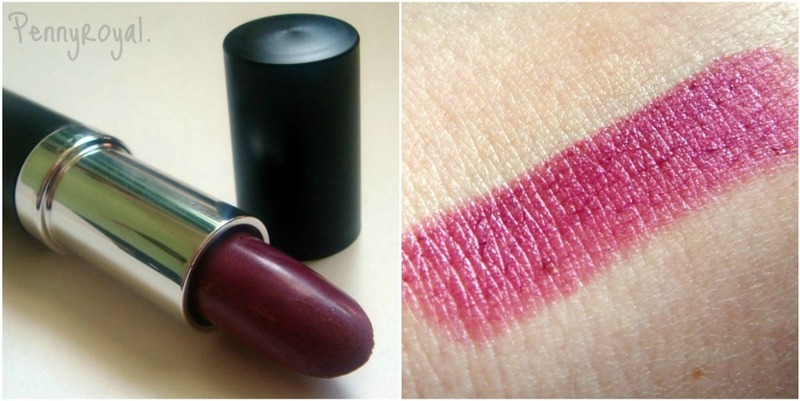 Gentian is a lovely deep burnt burgundy shade with fine shimmer in, Kaiser (love the name!) is a rusty golden shade, that is shimmery. They're smooth, pigmented, and so easy to blend. The highlighter I got is just stunning! It is perfect for my skin tone, and totally non glittery, which is always a major plus. It is so smooth and finely milled and just blends like butter, leaving a gorgeous natural looking glow. The pot is massive too, and you need the smallest amount, so I know that this will last for a long while. I most like to use this on the tops of my cheeks, cupids bow, and the brow bone. It's so pretty. The lipstick is also a great fall/winter shade, which I love - I've recently started getting more into bright lips. It's a deep berry colour, that compliments the eye shades I was sent, so well. It's creamy, and feels moisturising. You can't see it in the swatch, but it does contain some very fine shimmer through it, which just enhances my lips, making them look a little fuller. - Here is a little FOTD that I did, using all of the Freak Laboratory products. If you're a fan of mineral cosmetics in a whole array of colours, I think you should take a look at the website. I love the quirkiness of the brand, and the name, and everything! The website also has some tutorials, and looks on it too. Very cool! You can check them out, here! These products look AMAZING and the look you did with all of them just looks perfect for autumn, the colours work fab together. I am always surprised by mineral foundations too, the coverage is great but it feels like you aren't wearing a full coverage foundation. @ Rebecca: Thank you for the comment. I totally agree, they feel so light! @ Nail Designs: Thanks. They are lovely products. @ Belle: Do it! I hesitated for so, so long. I'm addicted now though! @ Lauren: Thanks :) It is. @ Zoe: The packaging is fab and so eyecatching! @ Lillian: Thanks :) Yep, I love the packaging, and the lip shade is so pretty.